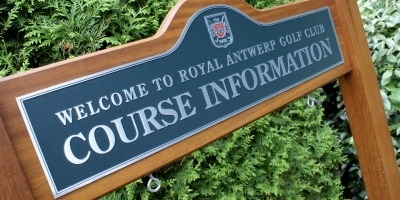 Royal Antwerp is home to Belgium's oldest golf club, dating back to 1888. 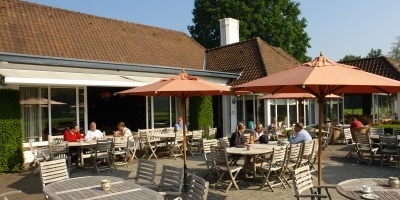 Its current location in the Kapellenbos north of Antwerp, was established in 1912, and has since developed into one of the finest wooded heathland courses in north west Europe. The excellent sandy soil base is perfect for this style of course, with its copious quantities of heather and mature pine trees lining many of the fairways. The terrain is relatively flat, providing an easy-walking course, although one with plenty of inherent challenges, not least staying out of the trees and plentiful bunkering, and getting down in two on the usually immaculate and fast greens. Water ditches are scarce, making a brief appearance on just a couple of holes. At over 6600 yards from the back tees the course plays long enough for the vast majority of golfers, especially if there's a bit of wind swishing around between the pines. This is not a layout that requires a booming drive off every tee. Course management and good placement will serve you just as well if its a good score you are wanting to card. A course that always exudes plenty of charm and challenge, no matter what time of year you play it.